My good friend Wes Trevor, a Pastor in the Denver area, recommended a book to me recently... and I read everything Wes tells me to read... I trust his judgement. 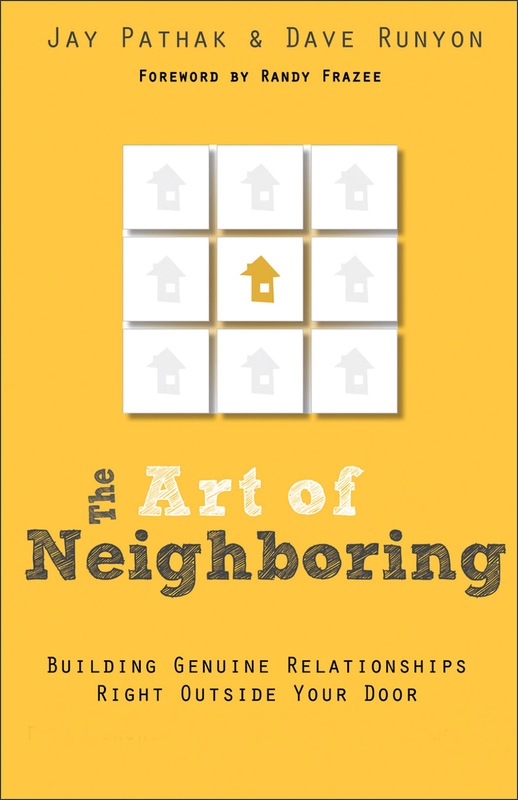 He recommended The Art of Neighboring: Building Genuine Relationships Right Outside Your Door by Jay Pathack and Dave Runyon and I read it. I thought I would share a quick review. This book doesn't have much to it. That doesn't make it bad, in fact I think it could make a good conversation starter in the right context and it certainly wouldn't hurt if people followed its principles. The authors' main objective is to invite the reader to consider what it might mean to love our neighbors... even our next-door neighbors. This thought experiment, imagining if we took Jesus a little more literally on this point, leads into some overtly practical ideas on how we might overcome the obsticles which keep us from sharing in relationship with those to whom we live in such close proximity. Think of the problems we could overcome as a society if we loved each other, not as a means to an end, but as an and end in itself? Chapter 7 on motives is really the best and most substantial chapter in the book. There's some decent relational theology with an Evangelical bias. It seems to be assumed throughout the book that the reader has a suburban middle-class family with the means to throw block parties and barbecues, and the theological pronouns are exclusively masculine (if you really want to be a good neighbor, shouldn't you start with your language? ), so there are significant contextual limitations. But, as I said, in the right context this could be a really good conversation starter and a great tool for helping people actually be good neighbors. It's void of, but compatible with, some robust missional theology. If you have suspicions about missional theology, this book won't ease any of that (see my posts about my own "Missional Suspicions"1 & 2). Overall, I say this book is good but not great. It's refreshing to see some relational theology (see Andrew Root's, The Relational Pastor) showing up in popular theological literature, but this book doesn't dive deep enough for me to really get excited about it. I'll recommend it to some but not all. Though I had my criticisms of this book, I'll still read anything Wes Trevor tells me to read.